Events in Wiltshire during June include several festivals and of course flat racing is on at Salisbury Racecourse. Then of course it is the ideal time to visit Stonehenge with the mid summer solstice. Wiltshire is rich in prehistory. The Amesbury Archer, Avebury, Durrington Walls, burial mounds and cairns all showing how popular this area was and for that matter still is thousands of years later. 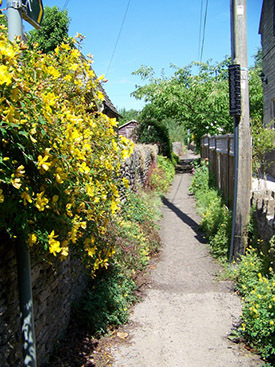 Corsham Walking Festival 7th to 9th June 2019. This is a beautiful place on the fringe of the Cotswolds. The Awesome Swindon Chilli Fiesta 8th June 2019. Swindon. Sounds hot. Entry is free too. Leaf Open Farm Sunday and Family Dog Show. Sunday 9th June 2019. Since the first Open Farm Sunday in 2006, over 1,000 farmers across the UK have opened their gates and welcomed people onto their farm. It is a fantastic opportunity for everyone to discover what it means to be a farmer and the work they do producing our food and managing our countryside. Racing will be held on 11th, 16th and 26th June 2019 at Salisbury Race Course. Amesbury Carnival and Show TBC. Usually spectacular displays. Warminster Wobble TBC Wiltshire's most popular cycling festival and it is Free! Warminster Town Park and there is a lot going on. Summer Action Festival Castle Combe 22nd June 2019. This is one for all car lovers. All makes, all ages, all action. Chalke Valley History Festival 24th June to 30th June 2019. Just west of Ebbesbourne Wake. The History Festival. Calne Summer Festival and Carnival TBC Calne Town Centre. Chalke Valley. It is the valley that the chalk stream the River Ebble flows through. It is a beautiful valley on the edge of Cranbourne Chase and not surprisingly the West Wiltshire Downs Area of Outstanding Natural Beauty. There are a group of pretty villages along the valley. Nice centre for walking. Grittleton. A little village not far from Chippenham and Bath. Grittleton House is privately owned and is used as an independent school and a venue for events. Devizes is in the middle of Wiltshire. There is a large green in the centre of the town. It still is a market town but its sights have increased to include a little manufacturing and is a tourism town for the local attractions of Stonehenge, Avebury etc. The town has a rich history and heritage of over a thousand years and there is a Medieval Trail in the town. Iford Manor is a Grade II listed building near Bradford on Avon. Its Peto Gardens are well known and they are listed Grade I in the National Register of National Parks and Gardens. 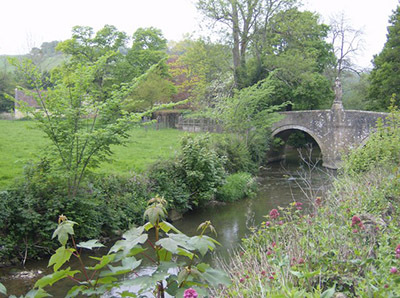 It lies in the Iford Valley on the Frome River. Salisbury Racecourse is four miles from Salisbury itself at Netherhampton in a scenic location on the downs overlooking the city. It is one of the oldest flat courses having been around since the sixteenth century. 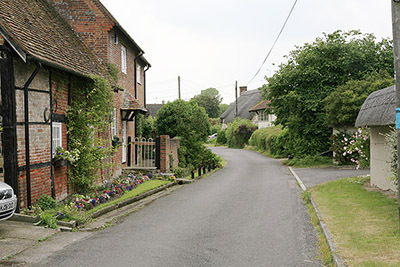 Amesbury is an attractive town in the Avon river valley close to Stonehenge. The town has its own claim to fame in the prehistoric stakes with the Amesbury Archer who was a bronze age man who was buried in the town before it ever was a town. His grave was an amazing discovery with a large number of important artefacts found with him. Dinton is in the south of Wiltshire, a village about eight miles from Salisury on the River Nadder. Phillips House was formerly Dinton House and is now owned by the National trust. Warminster in western Wiltshire. Has been famous for a lot of alleged UFO sightings, particularly in the sixties and seventies. It is a little market town on the edge of Salisbury Plain and the head of the lovely Wylye Valley. Anyone with events in Wiltshire who would like to list their event here please contact us via the Feedback form, we would love to hear from you. The event should have its own website so that our visitors can find you and obtain more information. The events in Wiltshire should be capable of attracting crowds, large village fete size and above, similar to those listed here. We reserve the right not to include events in Wiltshire that are not suitable for legal or other reasons.